The ozone hole feels like the quintessential ‘80s problem, but unlike car phones and mullets, it remains relevant in a number of ways. For starters, it’s still there, chilling over Antartica. More importantly, it’s slowly healing, and a new study offers some of the best evidence yet that sound environmental policy is responsible. 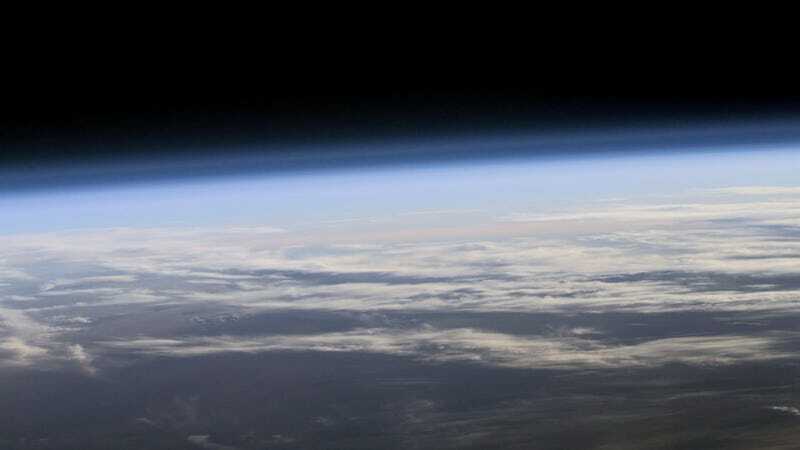 It’s been nearly 30 years since the world adopted the Montreal Protocol, a landmark treaty banning the use of ozone-destroying chlorofluorocarbons (CFCs). But despite a firm scientific understanding of the link between CFCs and ozone depletion, it’s been tough to tell how much of a success the protocol was, because the ozone hole didn’t start showing signs of recovery until a few years back. Moreover, nobody had actually measured the chemistry of the hole to see if ozone-destroying compounds are declining as we’d expect due to the Montreal Protocol. A study published this week in Geophysical Research Letters addresses that knowledge gap. The authors, from NASA’s Goddard Spaceflight Center, made use of data collected by NASA’s Aura satellite, which measures a suite of trace atmospheric gases to understand changes to the ozone layer, Earth’s climate, and air pollution. Strahan and her colleague Anne Douglass looked at changing ozone levels above Antarctica throughout the austral winter from 2005 to 2016, and found that ozone depletion had declined by about 20 percent. Then, they looked at levels of hydrochloric acid in the stratosphere at the end of winter, an indicator of how much ozone had been destroyed by CFCs. Sure enough, chlorine levels declined as well, at a rate of about 0.8 percent per year. That’s in line with model expectations of how much CFC levels should have declined over the same time period thanks to the Montreal Protocol’s ban. “This reaffirms our scientific understanding of what’s controlling ozone,” she said. Indeed, the Montreal Protocol continues to demonstrate that science and policy really can work together to solve environmental problems. In the case of the ozone hole, it’s taken decades for the results to become apparent. Strahan estimates the hole won’t be totally healed until the 2060s to 2080s, and that’s assuming we don’t start screwing it up anew. But at a time when it often feels like scientists and politicians are on opposite sides of a giant ice wall waiting for eternal winter to arrive, the fact that science-based policy can deliver results is worth remembering.